The first event happened in August in Vancouver, and the second one took place recently, on September 22 at Royal Jubilee Hospital, in Victoria. We were excited to partner with Island Health to discuss its Patient Experience Department and, of course, our ongoing development. 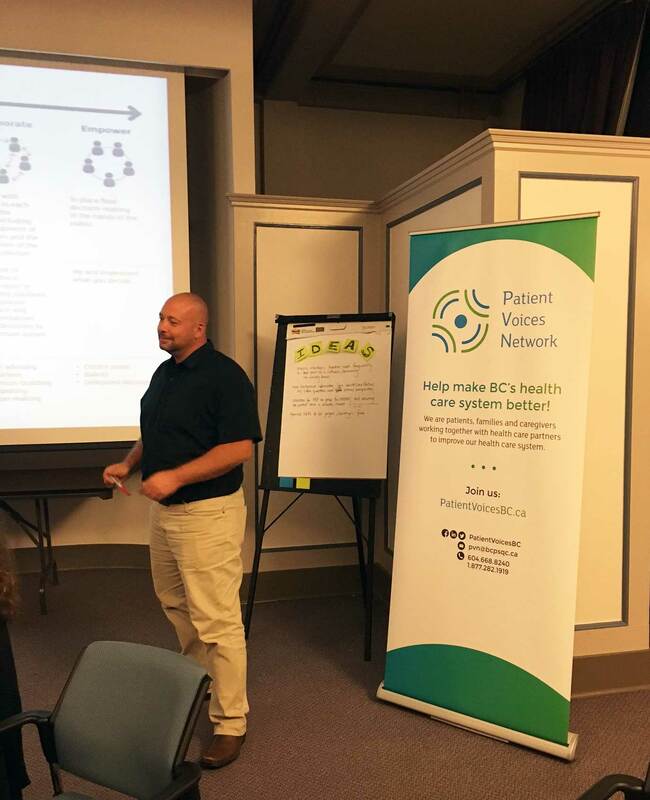 Our two engagement leaders for Vancouver Island, Kira Tozer and Ryan Sidorchuk, along with Deborah Harver, Island Health Specialist for Patient Partners, met eight PVN Patient Partners for an inspiring evening chat. 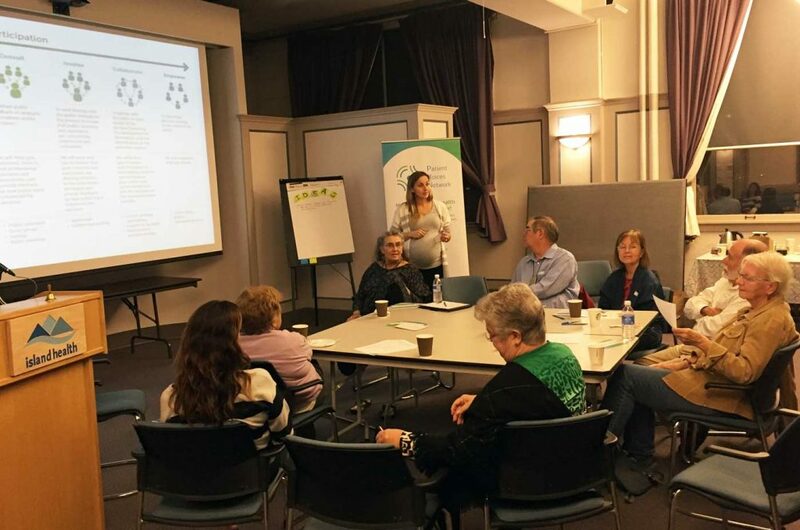 Some of the highlights of the event were a discussion of learning opportunities for patient and health care partners as well as a review of the IAP2 Spectrum of Engagement, which patient partners asked for in order to better understand the levels of engagement and their roles in engagement opportunities. There was also a discussion around the importance of good facilitation to ensure smooth and productive meetings, so that all voices are given a chance to speak and be heard. Both Kira and Ryan loved meeting patient partners in person! “Nothing beats physically networking with like-minded people. 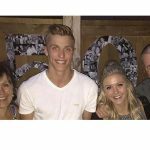 It builds an important sense of community and shared purpose,” said Ryan. Kira agreed, adding that the networking coffees are also a chance for engagement leaders to answer questions, revisit concepts that patient partners may not have heard about since their initial orientations, check in on existing placements, and brainstorm potential solutions to challenges patient partners may be facing. Create more opportunities for patient partners to connect with each other, either in person or online. Doing so would help them feel like they’re part of a strong community. Ideally, events could be held on a quarterly basis, with some on weekends so that more patient partners are able to attend. Encourage health care partners to provide more background information when an opportunity begins about its history and scope, including their hopes and needs in regards to gaining a patient perspective. Offer facilitation training to both patient and health care partners. Ensure that health care partners have selected the most appropriate level of engagement before posting opportunities, and they contain minimal jargon and acronyms. Suggest to health care partners that they seek ways to help patient partners feel comfortable during opportunities. We’re working on your suggestions! We loved all the ideas, and will let you know the changes that they catalyze as they come along. 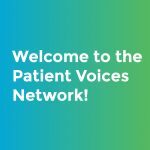 We also want to remind you that you don’t have to wait for in-person meetings to connect: we’ve created an exclusive group on Facebook for patient and health care partners to engage and get to know each other. You’re more than welcome to join it! What do you think of the ideas suggested during the coffee event? Do you have any to add? Please leave your thoughts in our comment box below. We’re also available to connect through email, phone (604.668.8240 or 1.877.282.1919), Twitter, Facebook or LinkedIn. Let’s connect! 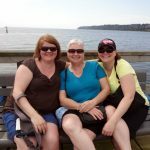 This entry was posted in News & Events and tagged Networking, Vancouver Island Region. Bookmark the permalink.